Stings and bites from insects can include anything from bees to wasps and ants, and can produce a variety of skin reactions including superficial injuries and allergic reactions. 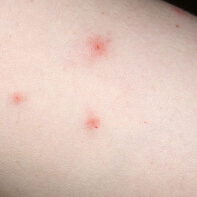 Insect bites and stings can often cause immediate skin reactions. 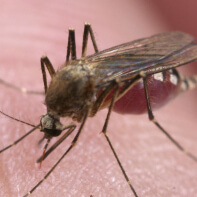 Bites from fire ants and the sting from bees, wasps, and hornets are usually painful, while bites from mosquitoes, fleas, and mites are more likely to cause itching than pain. Some people have severe, life-threatening reactions to bee stings or insect bites. This reaction is called anaphylactic shock and symptoms include chest pain, face or mouth swelling, difficulty swallowing or difficulty breathing. This condition can occur very quickly and if not treated quickly, can be extremely dangerous. So, if you or a family member experiences any of these symptoms it is very important to get to a hospital as quickly as possible. In most cases, however, symptoms can be relieved easily with topical treatment. Offering rapid relief from irritable skin conditions resulting from minor insect bites or stings, Cortisone-free itch relief Dermikelp® is suitable for all ages and skin types.